In the UK I have an underground parking space two blocks away from the town center, next to several office buildings. It is the perfect place to put it for rent. I have never owned a car while living there, only a small scooter for the space has been rented for about 4 years. The last tenant was so happy she stayed for over 2 years then told one of her colleague to take over and I had no vacancy between the two. Some companies attract the tenants and collect the payments, taking payment worries away from you. How much does a parking space rent for? If you are in the center of town, look at how much street parking is worth per day, if monthly passes are available to non residents. In my area, you can have a yearly parking permit for $100 if you are a resident with no private parking. If you live in another neighborhood, you pay about $15 per day to park your car, and the council’s covered parking costs about $300 per month. So what I am competing with is $300 per month, not $100 per year, and my target is professionals coming from other boroughs to work here. I started asking for $100 and immediately was inundated by demand, then raised to $120 with the last tenant, who was also really happy to take the space. I think I could get up to $150 but would find some resistance above that. Still, $120 is $1,440 per year, and having lots of applicants allows me to pick the very best. I have never had a default in payment in 4 years. How to advertise your parking space? If resident parking is complicated, your best bet is to ask your neighbors if they have a use for your spot. Put a word in the elevator or drop leaflets under their door with your contact number. Second best is Craigslist and the local ad board. Put ads at the bakery, the supermarket, or the community center. A few websites target short and medium term peer to peer parking rentals. Most have a fee paid by the user or renter, but they can help you reach a broader market. I rent a three bed property in the same building, and could include the use of the parking space for the same extra $120 a month I am getting from the current tenant. BUT if the flat tenant vacates, he would vacate the parking space as well, leaving me without TWO streams of income. He may be replaced by someone without a car, so what should I do, keep the parking empty hoping that person will vacate soon, or rent it, only to find the person is going away next month and the third tenant really wants the now rented space? Plus I have nice rental prices, and would go over the psychological price barrier if I were to add $120 to the rent, people may not even look at the listing. So it is a bit more complicated to draw two contracts and expect two payments, but it works better in my case. If you are renting a condo with a parking space and comparing prices to another listing without one, go through those considerations to see if it makes more sense adding the parking to the rent or not. One thing that seems quite popular where I live is renting your parking space during office hours. At 6pm, street parking is free until the next morning, so if people are working extra hours, they can move their car or you can park in the street while they vacate. But usually, since everyone works 9 to 5, you go to work at 830am, the guy parks in your spot at 845am, vacates at 515pm and you get home at 530pm. Weekends are yours. My tenant uses the space only during working hours so I could try to find someone else to rent at night, the tenants I have in the flat above the parking space have often asked if I could rent them the parking too, but not being on site, I don’t want to have to oversee exception when one stays home sick and the other one can’t park that day, all the way from Guatemala. If you decide to take in two tenants to share the space, draw contracts with strict hours, and give one the phone details of the other so they can communicate directly if they want to amend hours. Another option I have seen advertised is people renting their driveway in a parking zone where permits are scarce and meter parking is expensive. They offer a flat rate, a bit lower than that of a covered parking space, and some even offer long term rate. I looked it up when I moved out of the UK and I had just bought a car so I asked for a rate to leave the car there in someone’s garden. The man had RVs, boats and all kind of vehicles parked in his back garden for a fee. You need space, but that is pretty passive income. 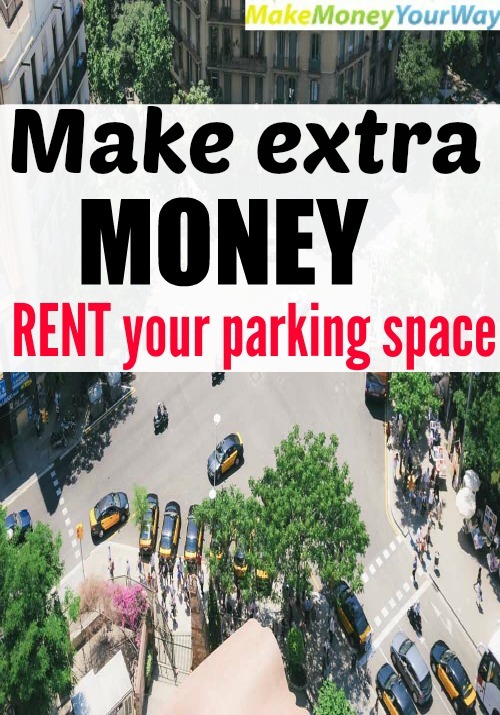 Have you ever made money renting your parking space? Would you consider it? This post was featured on the Canadian Budget Binder, Modest Money, My Wealth Desire, Outlier Model, thank you! We thought about renting the boat dock at our empty lot, but instead we exchange it for free lawn care and property maintenance. By the time we had to pay for extra liability insurance if we were to renting out, we wouldn’t make much on it. Instead we maintain great relationships with the neighbors! Bartering is even more awesome, as you found a person with skills you need. I don’t live in a city where that makes much sense. We have plenty of space for dirt cheap. If I lived near the Indianapolis Motor Speedway (IMS) I would totally do what most people in those areas do and rent spots in my lawn for anywhere from $10-$50 a day for the two weeks before the 500 and the weekend of the Brickyard 400. If I ever move to an area that is low on parking this is a brilliant idea! $50 a day wow that’s crazy! Do people camp there? There are some people that allow camping in their yards and they sometimes charge even more and offer a portable toilet to be set up. Some people even allow Vendors to set up trailers in their yards. I don’t know what kind of rent they charge them but it must be worth it to both parties involved because they do it every year. Sounds like a pretty nice setup. Some decent extra income without much work. Renting parking in Boston is crazy expensive too, so I’ve never done it. I have no idea how much it would cost to buy a spot. Might be worth looking into. Matt Becker recently posted…Why Do You Have to Beat the Market? Buying just to rent in France gives you barely 4% after fees, my parking was included in the property price so I have no idea what it would be worth. I guess over time with rent inflation you can make decent money and it is much easier to buy and maintain than a rental. I would totally do something like this and have heard about it before. It sounds like a perfect setup if you can do it with minimal to no upkeep. I am blessed with perfect tenants who have been there for months. The previous one stayed a couple of years, so it was a 10 minute deal at the beginning and 10 minutes at the end. Sounds like a great idea to me! I know if I lived in downtown Minneapolis rather than the suburbs, a parking space would be in high demand and I’d definitely rent it out if I wasn’t using it. Jake @ Common Cents Wealth recently posted…Why Should You Bike to Work? and it is pretty flexible. I have a 1 week notice on my rental contracts, so if you get a car you can have the people out quicker than normal tenants. If I had a space to rent, I would definitely do it, especially if you are in a high parking fee area. That would be a good way to make some money. In the US I imagine only the strict center of town would be of use to rent a parking space, there is so much space everywhere else! When we lived in Chicago we new people who would rent their parking spots and could get $150 to $200 per month? That seems to be about market rate for a major city, can you imagine having to pay $200 a month just to park your car next to work! That seems crazy to me, especially on an average salary. My daughter rented out her parking space because she did not have a car until last year. She lives in a major city where parking is a premium. A couple hundred dollars extra was nice for several years. that is really good money just for a parking space! And less hassle than a real tenancy. I rent my garage for $150 a month. I’ve been doing it for about two years and kicking myself for not thinking of it sooner. I had this latest tenant sign a contract though. And the whole thing is slightly risky though because if my landlord ever found out I could be in trouble. If I were aware my tenants are subletting honestly I would still be happy they pay me rent as long as there is no trouble, I would pretend I don’t see. This is an awesome idea! Unfortunately, I don’t have any parking to rent at this moment, but definitely something to consider in the future. Thanks for the tips! It has to be in a place where people are happy to pay for a well located space but it can be a nice side income. Renting out your parking space is such a clever idea. Unfortunately, I think it will only work in the more urban areas. I wish I would have known about this when I lived in Washington, DC. yes, it only works where parking is a premium, although the epicenter of a small town could work too, mine only has 40,000 people or less. Do you have to pay any fees for maintenance on your spot? My friend lives in a fancy pants newly built condo on the Brooklyn waterfront in Williamsburg and while they sell parking spaces, you still have to pay HOA fees on the spots! to me that’s such a rip, but I guess if you can afford to live in those places and own a car worthy enough of being in covered parking, I guess you can afford the HOA fees. I pay HOA fees as a combo for the apartment and common parts (garden, parking) I imagine my share is bigger than a property without a parking spot which would be a yes to your question, they charge us for parking lightening and cleaning. I get the point if you don’t want the parking to be a dump. There is also CCTV in place so it costs money. We used to rent out our fraternity parking lot, but I’ve never had a parking lot to rent. They can get pretty pricey in Chicago, so I wish I had one. Interesting point about diversifying your I come streams. I don’t know what they would sell for but it could be good to see if the yield is similar to a house, that is less problematic than a tenant whose carpet you have to change every 5 years. I am also looking forward to rent out my parking space (basement) in our condo. Pauline, it’s a great idea to rented it rather than to let it vacant. At least you are earning ppassive income. and if you live in the condo you can supervise it easily. Hope you find a tenant! My friend is moving to Boston from Minneapolis and he found a parking spot on Craigslist for $250/month. This actually is a pretty good deal for the area of Boston where he is going to be renting from. DC @ Young Adult Money recently posted…Is it Possible to Focus on Both a Career and a Small Business? lol here you can rent a small house for that price. I love that I make money with my parking space but that is really high just to park a car. We live in the suburbs, so that doesn’t really apply here. We have considered renting our garage to somebody with a vehicle they want indoors, but we use that as shared space with our tenant. Garages can be rented quite easily to people looking to store an RV or a car until summer. No nuisance for you as they don’t come in and out all the time. That’s really interesting. A girlfriend of mine lives really close to a huge stadium and she charges people to park in her parking spot. easy $20 every time! Marissa @ Thirtysixmonths recently posted…Guess who’s going to BlogHer? Wow, $20 for a game that is pretty nice money! I only wish we had a spot to rent. We actually rent a spot from a woman who doesn’t have a car. I’m embarrassed to say how much bf pays. Ah the joys of city living. Parking is hard to come by in San Francisco. It’s not uncommon to pay $300/month for a spot. I take so much public transportation that I’d rent out a space if I had one. There are a lot of car share programs here too. seem like some of the remarks appear like they are written by brain dead visitors? 😛 And, if you are writing on additional online sites, I would like to follow everything fresh you have to post. provides ample to get by’ and it is super convenient. There are various compilation of cars you can find on this category. worked for inside my entire life. cool! If I had a parking space in the city then I would definitely rent it out. 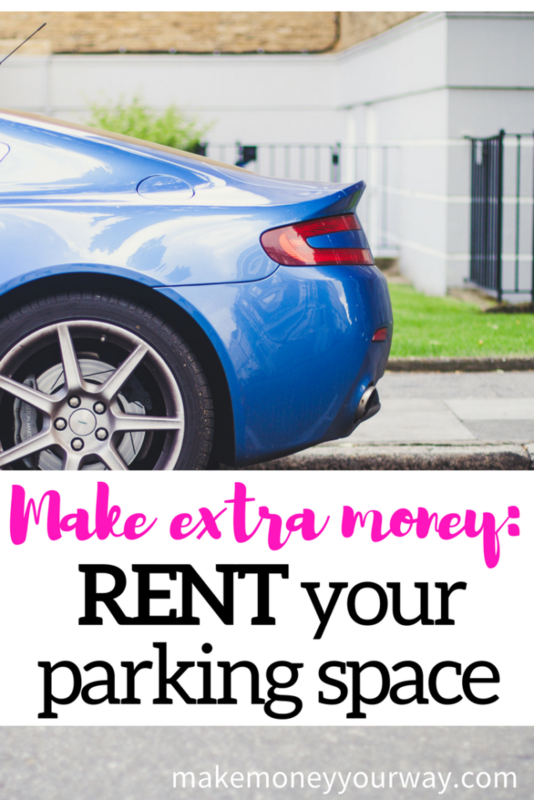 Splitting the rent of an apartment from the rent of a parking space can be a great way to squeeze out additional funds from a rental property! Sounds like you can definitely be charging more than $120! More like $150 – 200! Mr Ikonz @ Project Ikonz recently posted…Peer to peer lending in Australia – it’s finally arrived! Currently, I live in a more rural area, but am considering a move to a much larger metro area for work soon. I am researching things exactly like this just to help offset some costs. Great post. I honestly never even thought about renting out my parking space. My apartment actually comes with two parking spaces, but I live alone. I live close to a college campus and a lot of businesses, so perhaps I could make a profit off of it. I don’t know. I think it’s worth a shot though! uptown18 recently posted…How to buy fashion products online in India? BISSQ recently posted…What You Sow Is What You Will Reap. В нашем интернет-магазине Вы сможете [url=https://www.magnetik.com.ua/magnity-na-schetchiki-sveta.html]купить магнит на счетчик света СО-1М2-5[/url], [url=https://www.magnetik.com.ua/magnity-na-schetchiki-kupit.html]магнит купить украина[/url], [url=https://www.magnetik.com.ua/ehlektroshokery-kupit.html]электрошокер киев[/url], [url=https://www.magnetik.com.ua/lazer-i-lazernye-ukazki-kupit.html]co2 лазер[/url] купить в городе Грибовка.